Karolina Mzyk Callias has led UNDP – philanthropy strategic relations since January 2013. During this time, she has been instrumental in facilitating a global conversation between the UN, foundations and governments on enhanced collaboration for the Sustainable Development Goals. Since November 2014, she has led a global team working in Kenya, Ghana, Indonesia, Colombia, Turkey and Zambia in instituting multistakholder approaches to implementation of the national development plans inspired by the SDGs. During this time, Karolina developed partnerships with global foundations including Conrad N Hilton, Ford, The MasterCard, Gates, Coca Cola, DHL Foundations. Karolina is an author of many articles, blogs, and contributed to publications, all available on her LinkedIn profile. Between 2008 and 2010 Karolina worked in UNDP HQ in New York providing technical advice to country offices around the world in their partnerships with businesses. During this time, Karolina successfully led development of corporate due diligence policy and guidelines for private sector engagement which since have been replicated in other UN agencies. 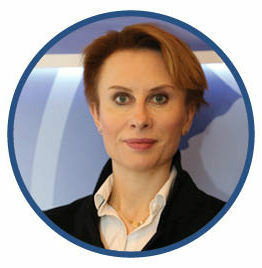 Between 2005 and 2008, Karolina was a regional adviser for the UN Global Compact and public private partnerships in Eastern Europe and the CIS stationed in Bratislava. Her main functions included technical advice to governments on policies regarding corporate social responsibility. Karolina joined UNDP in 2001 in Poland where she coordinated UN activities, managed production of National Human Development Report, facilitated launching the Polish Global Compact network and managed partnership projects between UNDP and the private sector at the local level. Before coming to UNDP, she worked in a non-governmental organization and a foundation in Poland.